Citation Information: JCI Insight. 2017;2(2):e87379. https://doi.org/10.1172/jci.insight.87379. Anti-neutrophil cytoplasmic antibody (ANCA) vasculitis is characterized by the presence of autoantibodies to myeloperoxidase and proteinase-3, which bind monocytes in addition to neutrophils. While a pathological effect on neutrophils is acknowledged, the impact of ANCA on monocyte function is less well understood. Using IgG from patients we investigated the effect of these autoantibodies on monocytes and found that anti-myeloperoxidase antibodies (MPO-ANCA) reduced both IL-10 and IL-6 secretion in response to LPS. This reduction in IL-10 and IL-6 depended on Fc receptors and enzymatic myeloperoxidase and was accompanied by a significant reduction in TLR-driven signaling pathways. Aligning with changes in TLR signals, oxidized phospholipids, which function as TLR4 antagonists, were increased in monocytes in the presence of MPO-ANCA. We further observed that MPO-ANCA increased monocyte survival and differentiation to macrophages by stimulating CSF-1 production. However, this was independent of myeloperoxidase enzymatic activity and TLR signaling. Macrophages differentiated in the presence of MPO-ANCA secreted more TGF-β and further promoted the development of IL-10– and TGF-β–secreting CD4+ T cells. Thus, MPO-ANCA may promote inflammation by reducing the secretion of antiinflammatory IL-10 from monocytes, and MPO-ANCA can alter the development of macrophages and T cells to potentially promote fibrosis. Citation Information: JCI Insight. 2017;2(2):e88257. https://doi.org/10.1172/jci.insight.88257. Loss of function or overexpression of methyl-CpG-binding protein 2 (MeCP2) results in the severe neurodevelopmental disorders Rett syndrome and MeCP2 duplication syndrome, respectively. MeCP2 plays a critical role in neuronal function and the function of cells throughout the body. It has been previously demonstrated that MeCP2 regulates T cell function and macrophage response to multiple stimuli, and that immune-mediated rescue imparts significant benefit in Mecp2-null mice. Unlike Rett syndrome, MeCP2 duplication syndrome results in chronic, severe respiratory infections, which represent a significant cause of patient morbidity and mortality. Here, we demonstrate that MeCP2Tg3 mice, which overexpress MeCP2 at levels 3- to 5-fold higher than normal, are hypersensitive to influenza A/PR/8/34 infection. Prior to death, MeCP2Tg3 mice experienced a host of complications during infection, including neutrophilia, increased cytokine production, excessive corticosterone levels, defective adaptive immunity, and vascular pathology characterized by impaired perfusion and pulmonary hemorrhage. Importantly, we found that radioresistant cells are essential to infection-related death after bone marrow transplantation. In all, these results demonstrate that influenza A infection in MeCP2Tg3 mice results in pathology affecting both immune and nonhematopoietic cells, suggesting that failure to effectively respond and clear viral respiratory infection has a complex, multicompartment etiology in the context of MeCP2 overexpression. Citation Information: JCI Insight. 2017;2(2):e88815. https://doi.org/10.1172/jci.insight.88815. Clinical trials revealed limited response duration of glioblastomas to VEGF-neutralizing antibody bevacizumab. Thriving in the devascularized microenvironment occurring after antiangiogenic therapy requires tumor cell adaptation to decreased glucose, with 50% less glucose identified in bevacizumab-treated xenografts. Compared with bevacizumab-responsive xenograft cells, resistant cells exhibited increased glucose uptake, glycolysis, 13C NMR pyruvate to lactate conversion, and survival in low glucose. Glucose transporter 3 (GLUT3) was upregulated in bevacizumab-resistant versus sensitive xenografts and patient specimens in a HIF-1α–dependent manner. Resistant versus sensitive cell mitochondria in oxidative phosphorylation–selective conditions produced less ATP. Despite unchanged mitochondrial numbers, normoxic resistant cells had lower mitochondrial membrane potential than sensitive cells, confirming poorer mitochondrial health, but avoided the mitochondrial dysfunction of hypoxic sensitive cells. Thin-layer chromatography revealed increased triglycerides in bevacizumab-resistant versus sensitive xenografts, a change driven by mitochondrial stress. A glycogen synthase kinase-3β inhibitor suppressing GLUT3 transcription caused greater cell death in bevacizumab-resistant than -responsive cells. Overexpressing GLUT3 in tumor cells recapitulated bevacizumab-resistant cell features: survival and proliferation in low glucose, increased glycolysis, impaired oxidative phosphorylation, and rapid in vivo proliferation only slowed by bevacizumab to that of untreated bevacizumab-responsive tumors. Targeting GLUT3 or the increased glycolysis reliance in resistant tumors could unlock the potential of antiangiogenic treatments. Citation Information: JCI Insight. 2017;2(2):e89169. https://doi.org/10.1172/jci.insight.89169. BACKGROUND. In dilated cardiomyopathies (DCMs) changes in expression of protein-coding genes are associated with reverse remodeling, and these changes can be regulated by microRNAs (miRs). We tested the general hypothesis that dynamic changes in myocardial miR expression are predictive of β-blocker–associated reverse remodeling. METHODS. Forty-three idiopathic DCM patients (mean left ventricular ejection fraction 0.24 ± 0.09) were treated with β-blockers. Serial ventriculography and endomyocardial biopsies were performed at baseline, and after 3 and 12 months of treatment. Changes in RT-PCR (candidate miRs) or array-measured miRs were compared based on the presence (R) or absence (NR) of a reverse-remodeling response, and a miR-mRNA-function pathway analysis (PA) was performed. RESULTS. At 3 months, 2 candidate miRs were selectively changed in Rs, decreases in miR-208a-3p and miR-591. PA revealed changes in miR-mRNA interactions predictive of decreased apoptosis and myocardial cell death. At 12 months, 5 miRs exhibited selective changes in Rs (decreases in miR-208a-3p, -208b-3p, 21-5p, and 199a-5p; increase in miR-1-3p). PA predicted decreases in apoptosis, cardiac myocyte cell death, hypertrophy, and heart failure, with increases in contractile and overall cardiac functions. CONCLUSIONS. In DCMs, myocardial miRs predict the time-dependent reverse-remodeling response to β-blocker treatment, and likely regulate the expression of remodeling-associated miRs. FUNDING. NIH 2R01 HL48013, 1R01 HL71118 (Bristow, PI); sponsored research agreements from Glaxo-SmithKline and AstraZeneca (Bristow, PI); NIH P20 HL101435 (Lowes, Port multi-PD/PI); sponsored research agreement from Miragen Therapeutics (Port, PI). Citation Information: JCI Insight. 2017;2(2):e89560. https://doi.org/10.1172/jci.insight.89560. Bladder outlet obstruction (BOO) induces significant organ remodeling, leading to lower urinary tract symptoms accompanied by urodynamic changes in bladder function. Here, we report mRNA and miRNA transcriptome sequencing of bladder samples from human patients with different urodynamically defined states of BOO. Patients’ miRNA and mRNA expression profiles correlated with urodynamic findings. Validation of RNA sequencing results in an independent patient cohort identified combinations of 3 mRNAs (NRXN3, BMP7, UPK1A) and 3 miRNAs (miR-103a-3p, miR-10a-5p, miR-199a-3p) sufficient to discriminate between bladder functional states. All BOO patients shared cytokine and immune response pathways, TGF-β and NO signaling pathways, and hypertrophic PI3K/AKT signaling pathways. AP-1 and NFkB were dominant transcription factors, and TNF-α was the top upstream regulator. Integrated miRNA-mRNA expression analysis identified pathways and molecules targeted by differentially expressed miRNAs. Molecular changes in BOO suggest an increasing involvement of miRNAs in the control of bladder function from the overactive to underactive/acontractile states. Citation Information: JCI Insight. 2017;2(2):e89580. https://doi.org/10.1172/jci.insight.89580. Adoptive cell therapy is a potentially curative therapeutic approach for patients with cancer. In this treatment modality, antitumor T cells are exponentially expanded in vitro prior to infusion. Importantly, the results of recent clinical trials suggest that the quality of expanded T cells critically affects their therapeutic efficacy. Although anti-CD3 mAb-based stimulation is widely used to expand T cells in vitro, a protocol to generate T cell grafts for optimal adoptive therapy has yet to be established. In this study, we investigated the differences between T cell stimulation mediated by anti–CD3/CD28 mAb–coated beads and cell-based artificial antigen-presenting cells (aAPCs) expressing CD3/CD28 counter-receptors. We found that transient stimulation with cell-based aAPCs, but not prolonged stimulation with beads, resulted in the superior expansion of CD8+ T cells. Transiently stimulated CD8+ T cells maintained a stem cell–like memory phenotype and were capable of secreting multiple cytokines significantly more efficiently than chronically stimulated T cells. Importantly, the chimeric antigen receptor–engineered antitumor CD8+ T cells expanded via transient stimulation demonstrated superior persistence and antitumor responses in adoptive immunotherapy mouse models. These results suggest that restrained stimulation is critical for generating T cell grafts for optimal adoptive immunotherapy for cancer. Citation Information: JCI Insight. 2017;2(2):e89904. https://doi.org/10.1172/jci.insight.89904. BACKGROUND. Ibrutinib is an effective targeted therapy for patients with chronic lymphocytic leukemia (CLL) that inhibits Bruton’s tyrosine kinase (BTK), a kinase involved in B cell receptor signaling. METHODS. We used stable isotopic labeling with deuterated water (2H2O) to measure directly the effects of ibrutinib on leukemia cell proliferation and death in 30 patients with CLL. RESULTS. The measured average CLL cell proliferation (“birth”) rate before ibrutinib therapy was 0.39% of the clone per day (range 0.17%–1.04%); this decreased to 0.05% per day (range 0%–0.36%) with treatment. Death rates of blood CLL cells increased from 0.18% per day (average, range 0%–0.7%) prior to treatment to 1.5% per day (range 0%–3.0%) during ibrutinib therapy, and they were even higher in tissue compartments. CONCLUSIONS. This study provides the first direct in vivo measurements to our knowledge of ibrutinib’s antileukemia actions, demonstrating profound and immediate inhibition of CLL cell proliferation and promotion of high rates of CLL cell death. TRIAL REGISTRATION. This trial was registered at clinicaltrials.gov (NCT01752426). FUNDING. This study was supported by a Cancer Center Support Grant (National Cancer Institute grant P30 CA016672), an NIH grant (CA081554) from the National Cancer Institute, MD Anderson’s Moon Shots Program in CLL, and Pharmacyclics, an AbbVie company. Citation Information: JCI Insight. 2017;2(2):e89906. https://doi.org/10.1172/jci.insight.89906. Citation Information: JCI Insight. 2017;2(2):e90565. https://doi.org/10.1172/jci.insight.90565. The sympathetic nervous system (SNS) accelerates heart rate, increases cardiac contractility, and constricts resistance vessels. The activity of SNS efferent nerves is generated by a complex neural network containing neurons and glia. Gq G protein–coupled receptor (Gq-GPCR) signaling in glial fibrillary acidic protein–expressing (GFAP+) glia in the central nervous system supports neuronal function and regulates neuronal activity. It is unclear how Gq-GPCR signaling in GFAP+ glia affects the activity of sympathetic neurons or contributes to SNS-regulated cardiovascular functions. In this study, we investigated whether Gq-GPCR activation in GFAP+ glia modulates the regulatory effect of the SNS on the heart; transgenic mice expressing Gq-coupled DREADD (designer receptors exclusively activated by designer drugs) (hM3Dq) selectively in GFAP+ glia were used to address this question in vivo. We found that acute Gq-GPCR activation in peripheral GFAP+ glia significantly accelerated heart rate and increased left ventricle contraction. Pharmacological experiments suggest that the glial-induced cardiac changes were due to Gq-GPCR activation in satellite glial cells within the sympathetic ganglion; this activation led to increased norepinephrine (NE) release and beta-1 adrenergic receptor activation within the heart. Chronic glial Gq-GPCR activation led to hypotension in female Gfap-hM3Dq mice. This study provides direct evidence that Gq-GPCR activation in peripheral GFAP+ glia regulates cardiovascular functions in vivo. Citation Information: JCI Insight. 2017;2(2):e91054. https://doi.org/10.1172/jci.insight.91054. BACKGROUND. African American (AA) men are disproportionately affected by both prostate cancer (PCa) and vitamin D deficiency compared with European American (EA) men. Vitamin D deficiency is linked to increased PCa aggressiveness and mortality. Therefore, it has been hypothesized that vitamin D deficiency may contribute to the PCa disparity between AA and EA men. METHODS. We studied a cross sectional group of 60 PCa patients (AA, n = 31; EA, n = 29) who underwent radical prostatectomy. Vitamin D metabolites 25-hydroxyvitamin D (25(OH)D) and 1,25-dihydroxyvitamin D (1,25(OH)2D) were measured in the serum and tissue by uHPLC-MS-MS. Tissue was laser capture microdissected, and gene expression was quantified by microarray. DNA isolated from whole blood was genotyped for West African ancestry markers and vitamin D–related SNPs. RESULTS. Serum concentrations of 25(OH)D were lower in AAs, but concentrations of 1,25(OH)2D in the prostate tissue were higher compared with EAs. Expression of the vitamin D receptor was higher in prostate tissue from AAs. Expression of the extracellular receptor of vitamin D binding protein, LRP2, was positively associated with West African ancestry and inversely associated with tissue 25(OH)D concentrations in AAs. CONCLUSIONS. The relationships between vitamin D binding protein LRP2 and vitamin D metabolites suggest that the prohormone is actively transported into the prostate, followed by intraprostatic conversion to the active hormone, rather than passive diffusion. These findings support the presence of a compensatory response in prostate tissue to vitamin D deficiency in AAs and reveal a previously unknown complexity involving tissue distribution of vitamin D metabolites. FUNDING. Department of Defense Prostate Cancer Research Program Idea Award for Disparities Research PC121923 (LN and RK) and the NIH 1R01MD007105 (RK). Citation Information: JCI Insight. 2017;2(2):e91377. https://doi.org/10.1172/jci.insight.91377. Idiopathic pulmonary fibrosis (IPF) is a fatal progressive fibrotic lung disease characterized by the presence of invasive myofibroblasts in the lung. Currently, there are only two FDA-approved drugs (pirfenidone and nintedanib) for the treatment of IPF. There are no defined criteria to guide specific drug therapy. New methodologies are needed not only to predict personalized drug therapy, but also to screen novel molecules that are on the horizon for treatment of IPF. We have developed a model system that exploits the invasive phenotype of IPF lung tissue. This ex vivo 3D model uses lung tissue from patients to develop pulmospheres. Pulmospheres are 3D spheroids composed of cells derived exclusively from primary lung biopsies and inclusive of lung cell types reflective of those in situ, in the patient. We tested the pulmospheres of 20 subjects with IPF and 9 control subjects to evaluate the responsiveness of individual patients to antifibrotic drugs. Clinical parameters and outcomes were also followed in the same patients. Our results suggest that pulmospheres simulate the microenvironment in the lung and serve as a personalized and predictive model for assessing responsiveness to antifibrotic drugs in patients with IPF. Citation Information: JCI Insight. 2017;2(2):e87094. https://doi.org/10.1172/jci.insight.87094. A role for oxidative stress in the brain has been suggested in the pathogenesis of diet-induced obesity (DIO), although the underlying neural regions and mechanisms remain incompletely defined. We tested the hypothesis that NADPH oxidase–dependent oxidative stress in the paraventricular nucleus (PVN), a hypothalamic energy homeostasis center, contributes to the development of DIO. Cre/LoxP technology was coupled with selective PVN adenoviral microinjection to ablate p22phox, the obligatory subunit for NADPH oxidase activity, in mice harboring a conditional p22phox allele. Selective deletion of p22phox in the PVN protected mice from high-fat DIO independent of changes in food intake or locomotor activity. This was accompanied by β3-adrenoceptor–dependent increases in energy expenditure, elevations in brown adipose tissue thermogenesis, and browning of white adipose tissue. These data reveal a potentially novel role for brain oxidative stress in the development of DIO by modulating β3-adrenoceptor mechanisms and point to the PVN as an underlying neural site. Citation Information: JCI Insight. 2017;2(2):e88848. https://doi.org/10.1172/jci.insight.88848. The neonatal mouse kidney retains nephron progenitor cells in a nephrogenic zone for 3 days after birth. We evaluated whether de novo nephrogenesis can be induced postnatally beyond 3 days. Given the long-term implications of nephron number for kidney health, it would be useful to enhance nephrogenesis in the neonate. We induced nephron reduction by cryoinjury with or without contralateral nephrectomy during the neonatal period or after 1 week of age. There was no detectable compensatory de novo nephrogenesis, as determined by glomerular counting and lineage tracing. Contralateral nephrectomy resulted in additional adaptive healing, with little or no fibrosis, but did not also stimulate de novo nephrogenesis. In contrast, injury initiated at 1 week of age led to healing with fibrosis. Thus, despite the presence of progenitor cells and ongoing nephron maturation in the newborn mouse kidney, de novo nephrogenesis is not inducible by acute nephron reduction. This indicates that additional nephron progenitors cannot be recruited after birth despite partial renal ablation providing a reparative stimulus and suggests that nephron number in the mouse is predetermined at birth. Citation Information: JCI Insight. 2017;2(2):e92800. 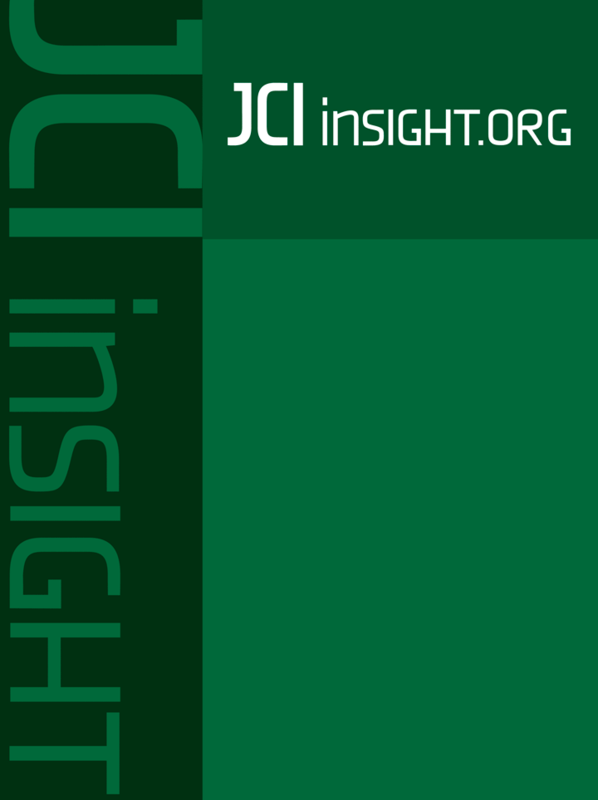 https://doi.org/10.1172/jci.insight.92800.